I just got a note from Dr.Rebecca Duerr. 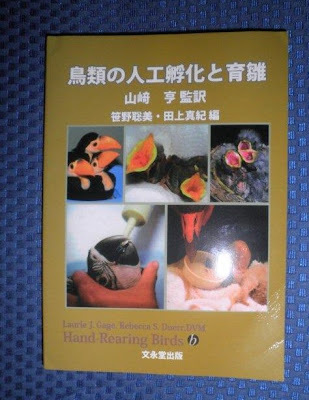 Rebecca and Laurie Gage edited the book, Hand-Rearing Baby Birds. I wrote three chapters for the book. 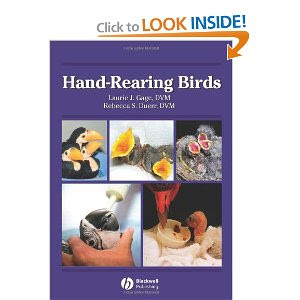 The book was published by Blackwell in July of 2007 and is still available through Amazon and other places. 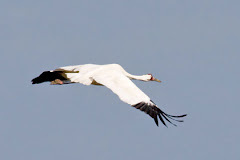 "It will be interesting to see how phrases such as "thrashing it to bits" (Marge's chapter on Cranes) translate!" Indeed it will. For those of you that read Japanese, please let us know! Below is an image of the cover. It is wonderful to know the material has made it worldwide. We have been so busy here at REGI I cannot hope to condense our days and patients into blog form. We have over 200 patients here now. We have released many patients including 15 in one day a few days ago, another Bald Eagle, Broad-winged Hawk, Coopers Hawk and many of the passerines. The photos of the tiny babies taken just weeks ago are now full size birds and out on their own and thriving. It is a free event, but will have fundraising possibilities including a silent auction to help REGI and our wildlife work. Plus we will have some great T-Shirts for sale!! We are looking for volunteers for the event and and also for volunteers for the REGI facility. Please call Molly at 715-623-2563 if you are interested in volunteering. We are in great need! Have a great 4th of July everyone. Use care with the fireworks and remember wildlife when you do use them. We get a bevy of birds in after the 4th from Bald Eaglets to tiny warblers. All of the birds frightened from their nests by exploding fireworks and noisemakers.